For years of being a Transformers, there is always a chance to get the Masterpiece Optimus Prime one way or another. So there is another chance as Hasbro will be re-releasing it in October 2014. If you must know, this is a Asia release with Japan excluded. It will come with Trailer that converts to Battle station, Autobots roller, Energon Axe, Mini-figure of Spike Witwicky and also the Matrix of Leadership. It was said there maybe a Special premium included but no news of what it is for now. Also the pricing is still unannounced. 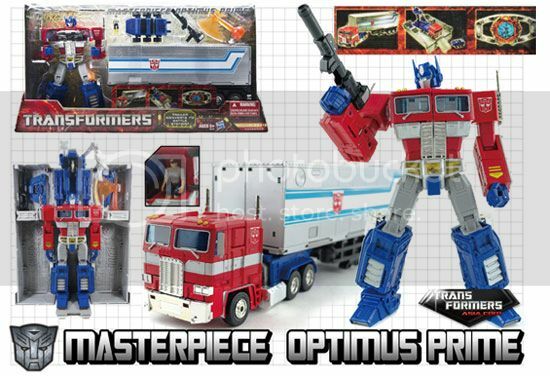 So if fan you missed the MP-10 Optimus Prime that sum up your G1 collection or late starter, this could be one piece you want to get it.